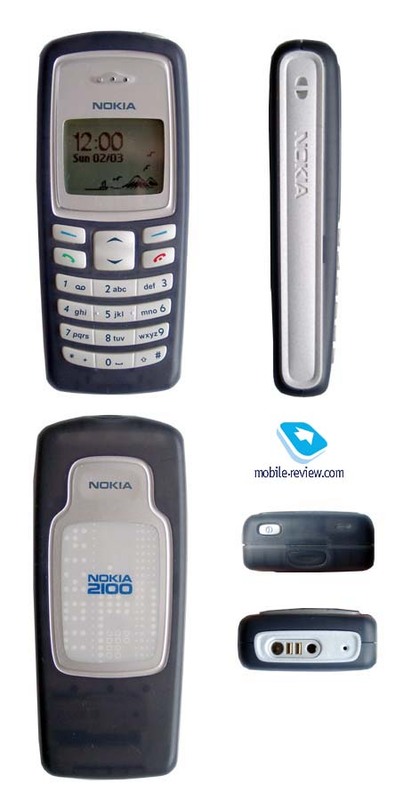 Nokia increased its phone line and introduced a new 2000 series, which united the cheapest low-end phone from Nokia. New number was given to underline the difference from 3000 series, which contained phones of large dimensions and traditional shape. 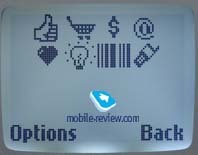 Developers remained old approved solutions, so many features of 3000 series were moved to the phones of 2000 series. Nokia 2100 is available in 3 colors (yellow, green and grey), the phone looks elegant and stylish due to a mat semitransparent plastic. It’s very unusual to see a low-end phone of such unusual design. But we should understand that in majority of countries about 70-80% of population have already used mobile phones. As a result, those, who had low-end phones of first generations, got used to them and would like to have more capabilities and modern design while changing the phone. 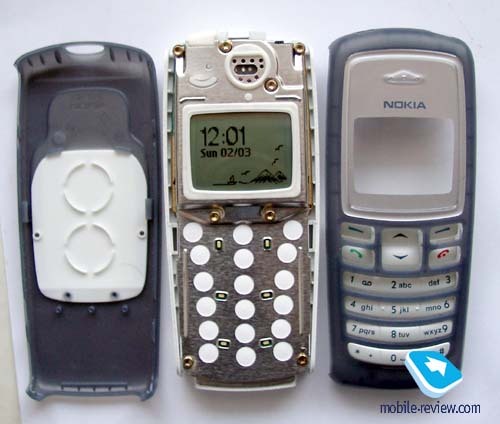 Designers of Nokia 2100 tried to satisfy their needs; the phone is aimed to both youth and adult market. They mixed different styles, for example classical case and bright weight keypad backlighting. 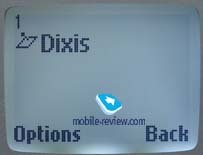 If you look at the back part of the phone, you can see a decorative insertion which also brighten up the phone. Side parts of the handset are made of white plastic. Traditionally you can change the phone appearance with a help of interchangeable covers. Totally there are up to 6 covers suitable for this phone: Fuchsia, Yellow, Orange, Purple, Light Blue, and Dark Purple. A power on/off key is placed in the top of the phone, it also can be used to change a profile in the stand-by mode. The key is rather tight, but you don’t need to use often. 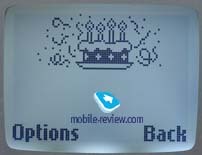 The display has a resolution of 96x65 pixels, what allows to show up to 4 text lines and tips to the soft keys use. The handset has a pastel blue backlighting, which is very attractive, especially in the low-end phone. 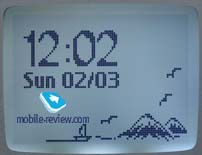 For example, the same screen is used in a top model of the company – Nokia 8910. 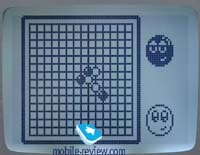 Like in Nokia 3510 a keypad of Nokia 2100 is made of rubber, all keys are well-spaced and has a good size. All characters are visible in all lighting conditions. In short, the keypad is rather comfortable. On the bottom of the phone we can see a system connector, which was used in older models too. So, this phone doesn’t enable synchronize data, but it couldn’t be expected from the low-end model. The handset is equipped with Li-Ion battery of 720 mAh capacity (BLD-3). According to the manufacturer the phone has up to 150 hours of stand-by time and up o 3.5 hours of talking time. In reality the phone operated about 4 days in case of 40 minutes of talking and 20 minutes of using other applications. Time of full re-charging is about 1.5 hour. The phone dimensions are 105.5 x 44.2 x 20.5 mm and it weighs 85 grams. Such compact size allows to wear it comfortable both in a hostel and in the pockets. 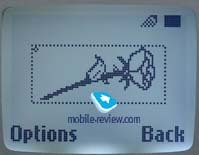 The handset has a typical menu structure for the Nokia’s phones. A quick shortcut number navigation is available. Let’s turn to the main applications. Phonebook. Up to 200 phone numbers can be stored in the phone memory. 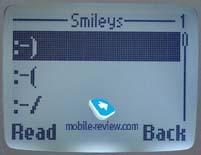 Phone numbers from both memory types can be displayed simultaneously. Only one phone number can be assigned to one name, certain melodies can be added to one name. All functions are ascetic. Messages. 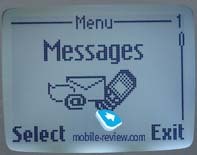 Nokia 2100 supports Nokia Smart Messaging, not MMS and EMS. It’s possible to create concatenated messages, send group SMS messages, templates, smiles and pre-installed pictures. Calls records. Up to 10 dialed, received and missed calls with time and date indication are stored in the phone memory. One can view calls duration in this menu too. Profiles. There are several traditional profiles in the phone, but vibrating alert is not typical for all the phones. 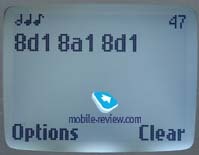 You can select several types of incoming alert: just vibracall, vibracall and a melody and the most interesting one – vibracall in he melodies rhythms. Unfortunatley, you can’t activate profiles in special time. Settings. Apart from usual features, one can find an keyguard here, which can be secured by a password. Alarm-clock. It can be set to alert once or in special days of the week. Reminders. 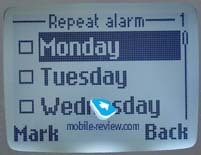 One can create simple text notes and set signal reminders (day and time). Games. 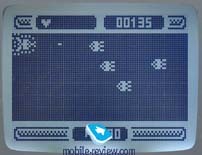 There are 3 games in this phone: Snake 2, Space Impact, Link5. We have already seen all of them in the other models. Extra. 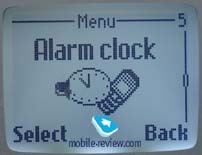 One can find a usual calculator, stopwatch, which has different modes, countdown timer and musical composer (not a staff) and graphical editor. The phone has a good reception quality and sound quality. It doesn’t support polyphony, so, the ringer is loud and comparable with Nokia 8310; vibrating alert is rather strong. The advantages of this model are good autonomy and comfortable keypad. In the whole it’s a simple low-end phone, which could be recommended to those who don’t’ demand much from the handset. Taking into account brand awareness and cheap price, we think that this phone will be rather popular. 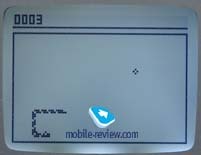 It is expected that Nokia 2100 will be available in April and it would cost about 120 Euro.